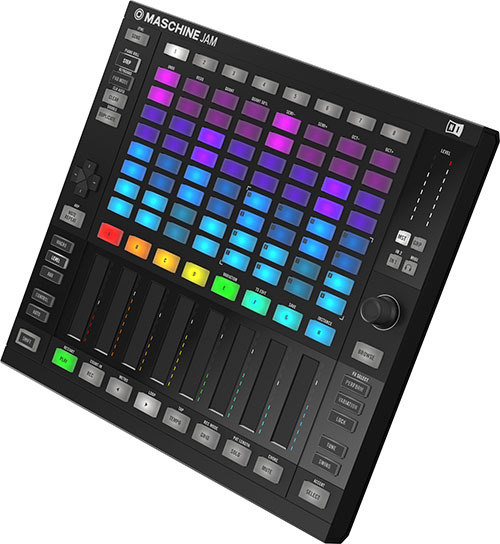 MASCHINE JAM is the modern production and performance system for intuitive sequencing and track building. Sketch patterns with advanced multi-track step-sequencing. Shape your sounds with dynamic, LED-guided Smart Strips. And bring your arrangements to life with an included arsenal of premium sound from MASCHINE software and KOMPLETE SELECT. MASCHINE JAM is your shortest route from idea to reality. Check out our brief video demo and the short introduction video below.